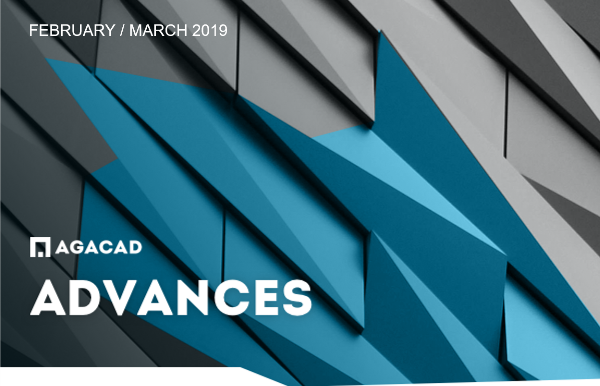 Check out the Feb-Mar 2019 issue of our AGACAD Advances newsletter! AGACAD’s recent 28th birthday party was brief. The team met in the lobby for a toast to our clients and partners worldwide, then got back to building even better digital construction solutions. Delivering tomorrow’s AEC. We hope you enjoy this update you on where we and BIM are going. There’s news about our framing, MEP and detailing software. And what’s really hot these days is precast concrete. We’re on our way to brief industry players at North America's Precast Show 2019 – this time as an Autodesk AEC Industry Partner singled out for our precast tools for Revit. Read the newsletter for a quick overview. 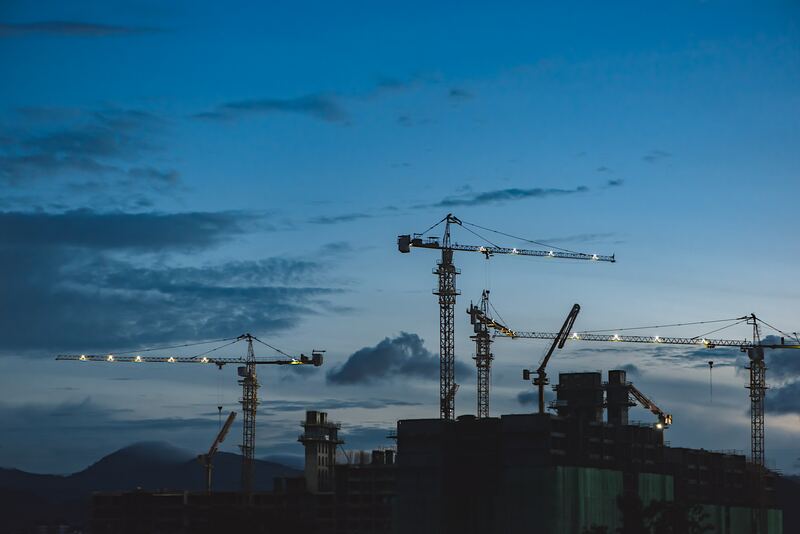 Want to attend The Precast Show 2019 in Louisville? We've got some passes to give away! Contact us and we'll send you a code to attend the largest trade show exclusively dedicated to precast in North America for FREE! Keep in mind that these passes are for producers – precast concrete manufacturers and suppliers – only. We'll be exhibiting at the #PrecastShow, so whether or not you take us up on the free passes we'd love to meet you there. We'll be at booth 789. Today, February 1st, is our company birthday! Here's to the next 28 years of delivering tomorrow's AEC! A good year is ending, a new one beginning, and amid the joy and peace that should dominate this season, we at AGACAD extend warm holiday wishes to all our valued clients, partners and friends. 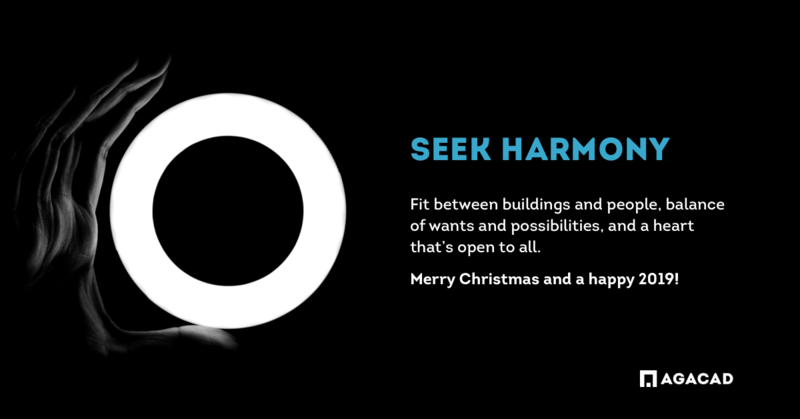 We first wish you harmony between buildings and people. For that, after all, is the goal of all engineering efforts – not BIM, but happy people. Good fit between facilities and their users. Next, we wish you happy equilibrium between wants and opportunities, life and goals, clearly seeing where we are now and what we’ve achieved. Finally, and last but not least, we wish you a heart that is open and understanding… towards colleagues, customers, loved ones and yourself. From our hearts we say Merry Christmas! Here’s to harmony in 2019! Back in October, Autodesk® named AGACAD an AEC Industry Partner in recognition of the outstanding value that our Precast Concrete software brings to Revit® users around the world. But you don't have to take our word for it – see what our clients have to say below and then take a free trial for yourself! 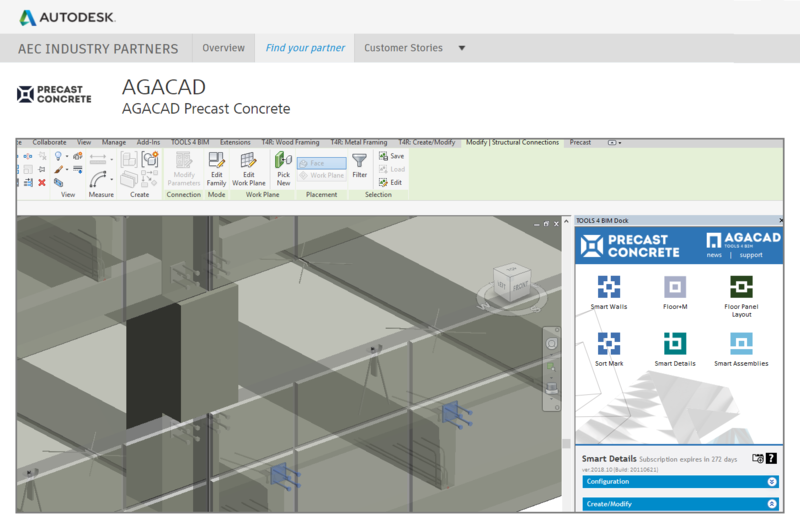 You can find AGACAD in the Autodesk AEC Industry Partner Portal. Details due out next week, so stay tuned! In the meantime... now is the time to take a trial and get a free live demo since the thank-you offer will have a limited duration. 1. Download the TOOLS4BIM Dock – make sure it matches your Revit version (2019, 2018, 2017). 2. Open Revit, and you'll see the TOOLS4BIM Dock. 3. Select the tool(s) you'd like to trial. 4. Activation codes will be sent via email. → To get a free live demo, just send us an email and we'll set it right up! This September we’ll be exhibiting with our Sweden-based partner AEC at Forum Wood Framing Nordic. Hosted by Linnaeus University, the conference will take place in Växjö, Sweden on September 26–27. The line-up of exhibitors in recent years has propelled this forum to a prominent position as a must-attend-conference for wood construction academics and practitioners in the Nordics. We’re proud to be a part of it this year with AEC. If you’ll be there, come visit us at Booth 28! At the Precast Show a few months ago in Denver, we had the pleasure of meeting Michael Gustafson, Industry Strategy Manager for Structural Engineering at Autodesk®. He's written up his own summary of the show along with his takeaways – and AGACAD's Precast Concrete BIM Solution is one of them. We're looking forward to The Precast Show 2019!